With the new Toyota GT86, Toyota and Subaru did something we all wanted a manufacturer to do: Bring back excitement in new cars. As I have said already, new cars are now increasingly boring, and to really get some spark in today’s performance cars, you need to go at three times the speed of sound. With the GT86/BRZ though, Toyota publicly said “You know what, what ever happened to fun?” The result was a small light, rear-wheel drive coupe, with not a lot of power and a very lively rear end. People who complained it was underpowered and lacked grip completely missed the point. The idea was not to break lap times, but to make you smile. We all applauded saying driving pleasure was back. However, since then, nothing really new has been announced. Today, this changed. An announcement was made that could, potentially, bring another player to the match. Curiously enough, it comes from France’s history. You see, in 1955, a very atypical Frenchman, Jean Rédélé decided that what France needed, was a small affordable sportscar that would bring a smile to people’s faces. Here was a man who saw that the endless sea of 2CV and Peugeot 203 was not very exciting, and probably influenced the suicide rate at the time. What resulted was the creation of an iconic brand and car: The Alpine. What the Alpine was, was the base of an everyday car, a Renault 4CV, and Rédélé changed it in order to turn it into a small sports car. The same thing Ferdinand Porsche did with the Beetle in a way, to create the 356. 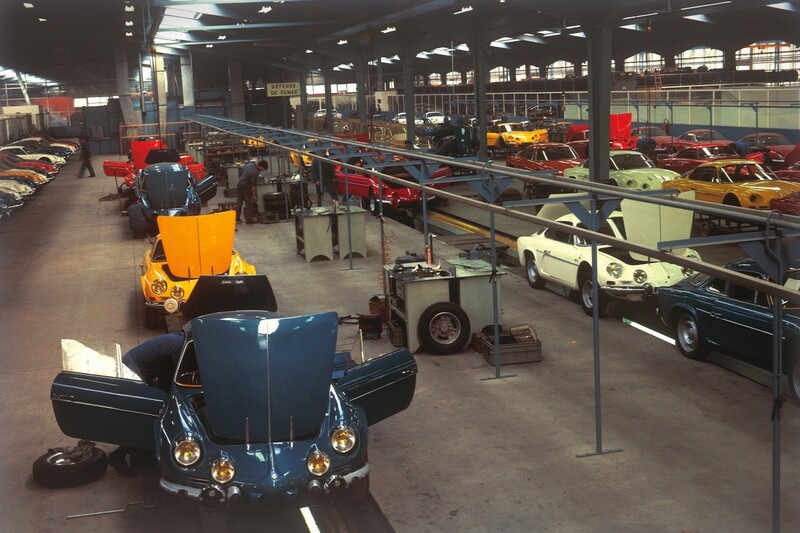 What Rédélé did, created history in the French auto industry. The following cars, such as the A110 were so emblematic, you even find them being collected in California. However, like all good things, after time, and with increasing Renault influence, the Alpine became bigger, more powerful and less attractive. This culminated with the A610, then died, in 1991. Today, though, Renault just announced what we all knew: Alpine is coming back. The fear in most enthusiasts’ minds was that it would be a heresy, like the Gordini revival as a ‘premium’ brand. To prove their commitment, Renault looked for a completely unlikely partner: Caterham. This is good news. You see, Caterham specialises in keeping the Colin Chapman idea of “light is right” alive through the over-bloated sea of cars today. Caterhams are known for being one of the most fun cars do drive around, often ending up as track cars. This does cast doubts though, as the closest thing they have to a production car is the Caterham 7, which sells in limited numbers. You see, Renault plan to make between 5,000 and 10,000 cars a year. 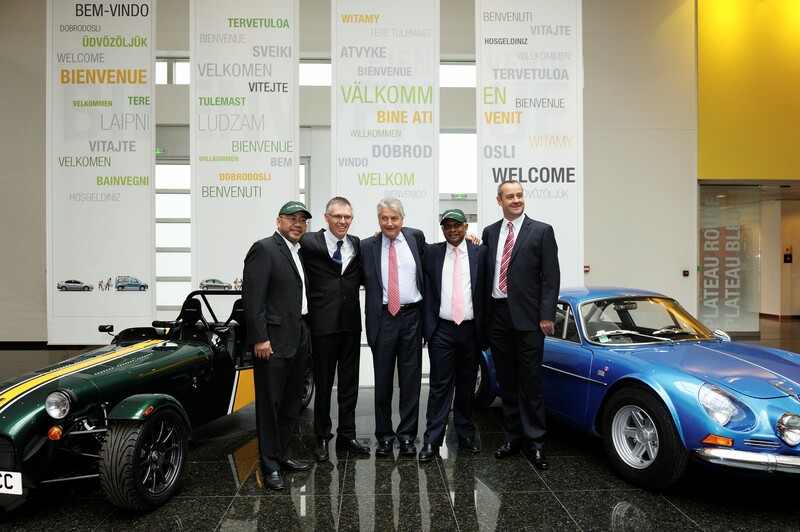 Yes, production will be mostly in France, but will Caterham be able to keep up with the distribution, service and experience? Let’s hope so! Caterham and Renault will each split ownership of the new Alpine company, splitting profits as well. 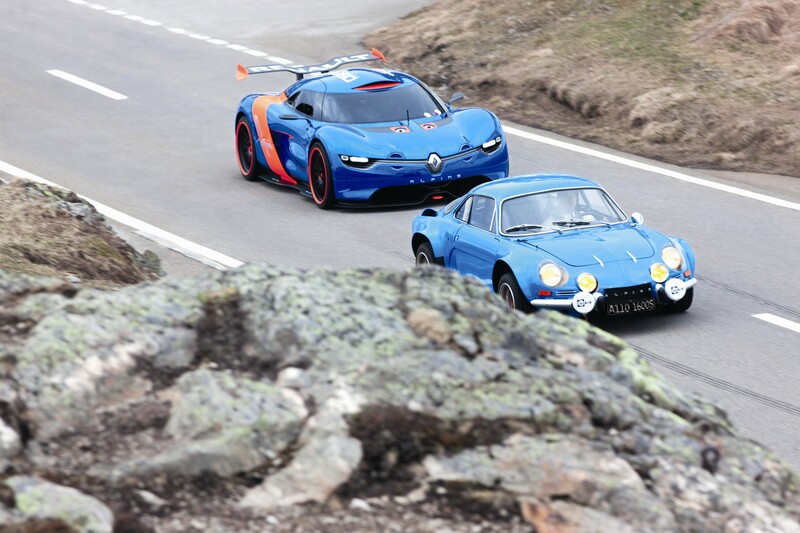 The Alpine will be sold either as a Caterham, or a Renault. The tie up with Caterham is a good thing also, as it means the focus will be on driving pleasure rather than all out performance. If there ever was a way to say this would not be a ‘Gordini’, this is the way to say it. France and luxury cars are hard to go together at the moment, so why not try something else? The success of the GT86/BRZ shows that enthusiasts want something different and fun in their lives! Oh, and it will be rear-wheel drive, with a mid mounted engine, and the press release talks about cars, so there could be more than one!. This entry was posted in News and tagged alpine, BRZ, caterham, driving pleasure, gordini, GT86, renault, subaru, toyota. Bookmark the permalink. 3 Responses to Newsflash: The return of driving pleasure? The Alpine is back! I hope they will manage this resurrection, because Renault has the know how to make funny sports cars (I used to have a Twingo RS Gordini). People often forget who is the most successful engine manufacturer in F1 of these last 30 years.. In this Renault story, the only thing we have to remember is that Renault doesn’t know how to sell a car at a high price, there for, they can only built a sports car with a small engine!